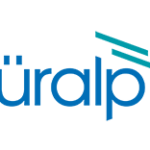 Guralp provides solutions for a range of civil engineering applications spanning buildings, bridges, dams and a wealth of other structures. Our solutions deliver critical information that is used for planning, design, structural health monitoring, and coordination of emergency response activities. Guralp equipment is installed worldwide protecting hundreds of civil engineering structures.